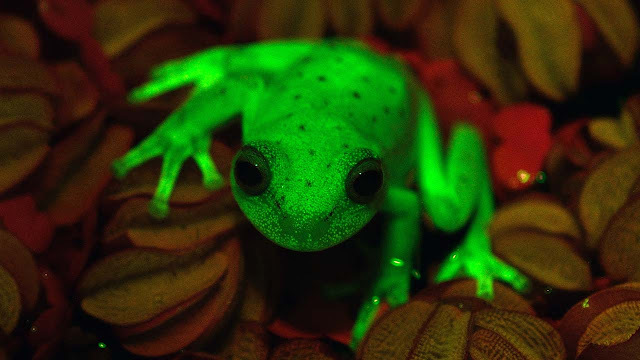 The first naturally fluorescent frog was discovered recently in Argentina — almost by chance, a member of the team of researchers told AFP Thursday. Under normal light the frog’s translucent skin is a muted yellowish-brown color with red dots, but when the scientists shone an ultraviolet light on it, it turned a celestial green. It also “generates new questions about visual communication in amphibians,” he said. The team studied some 200 more examples to ensure the phenomenon was not due to the frog’s captivity, and detected the fluorescent properties in all the specimens. The finding was recently published in Proceedings of the National Academy of Sciences.